Only minutes from Philadelphia International Airport and close to numerous area attractions and sporting venues, this all-suite hotel provides spacious accommodation along with free airport transfers. 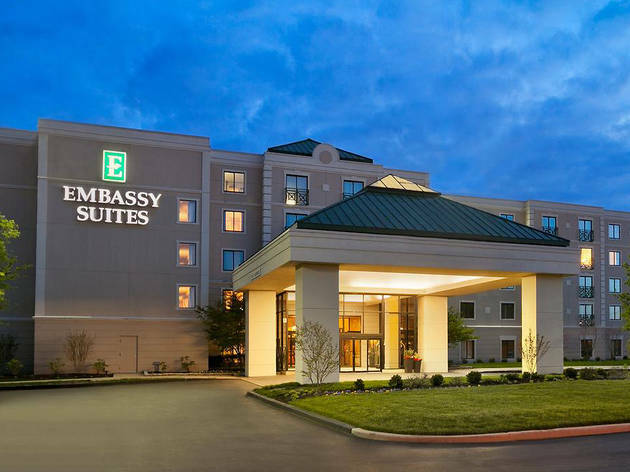 With a free cooked-to-order breakfast and wireless internet access, every stay at the Embassy Suites Philadelphia Airport is sure to be relaxing. Guests at the hotel can also enjoy a free nightly evening reception as well as a modern on-site fitness centre. 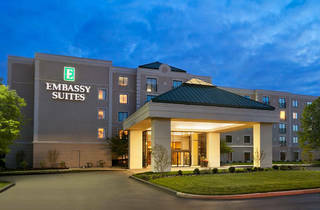 Popular Philadelphia city centre attractions, including the Liberty Bell, the University of Pennsylvania and numerous museums are only a short drive from the Philadelphia Airport Embassy Suites. Lincoln Financial Field, home to American Football's Eagles and Wells Fargo Center, home to hockey's Flyers, are also nearby.